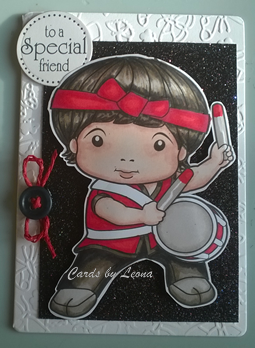 I made this card for my friend who plays with a batala band. 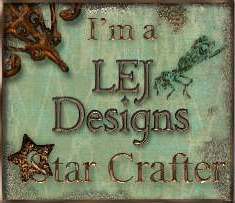 The image is from La La Land Crafts. Today’s card is made with an image from La La Land designs. 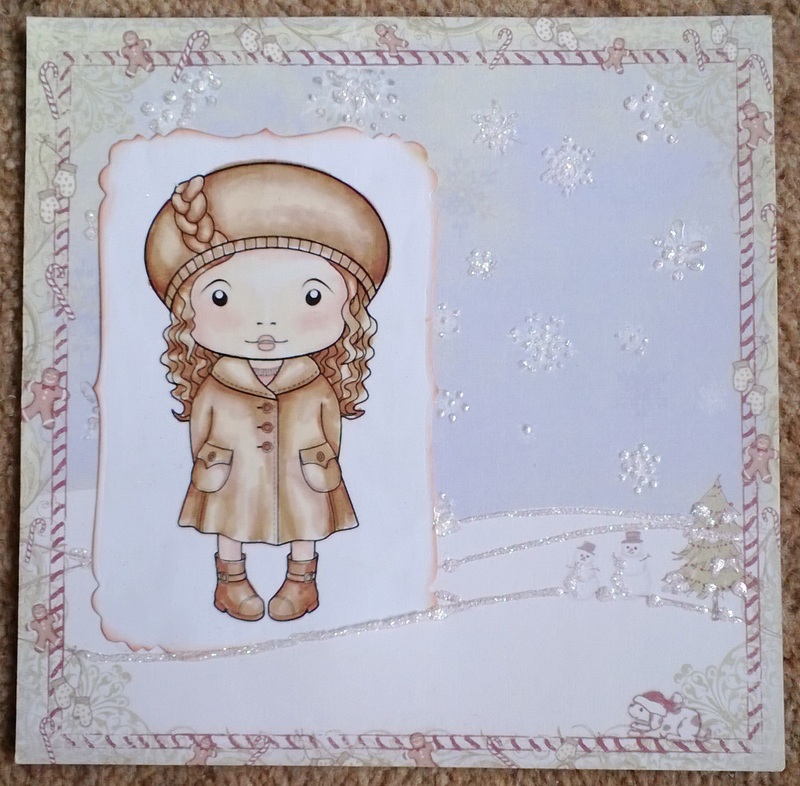 I coloured her in sepia tones and then embellished the background paper with glitter to place her in a snowy scene. 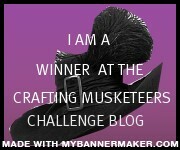 I toyed ith the idea of using a sentiment but then decided it would distract from the subtle colours. 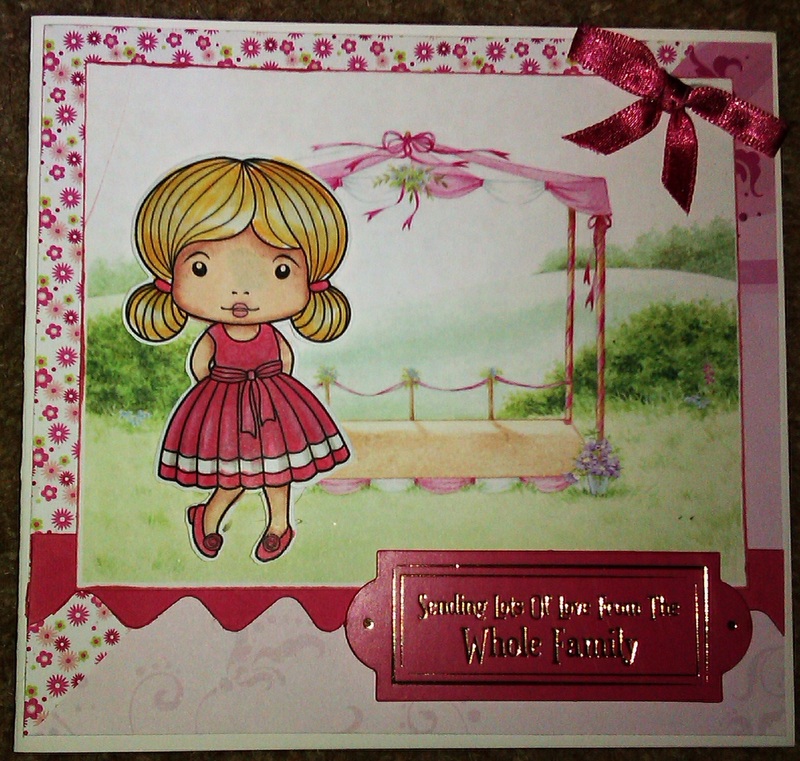 This is a digi stamp that has been mounted onto a background sheet designed by Jayne Nestorenko for a Cute Companions wedding. The ribbon was coloured with promarkers so that it matches the ribbons on the background. 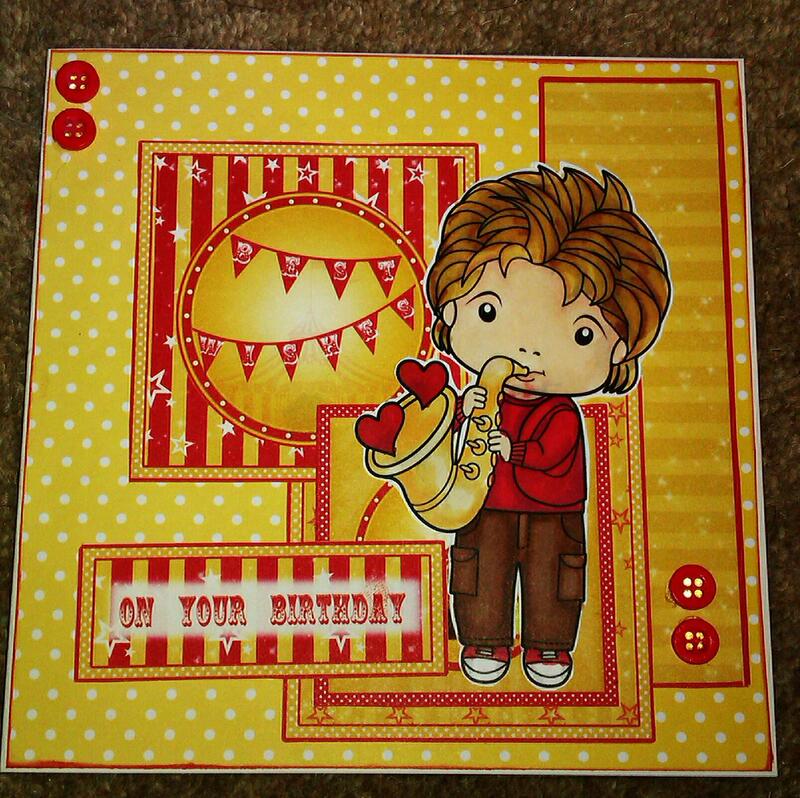 La La Designs Saxaphone Seb!